This is a large block plaid red and black checkered/gingham pattern. It has white buttons. In There’s Something About Mary (12x21), Dean wears this shirt from when they capture Toni until the end of the episode. 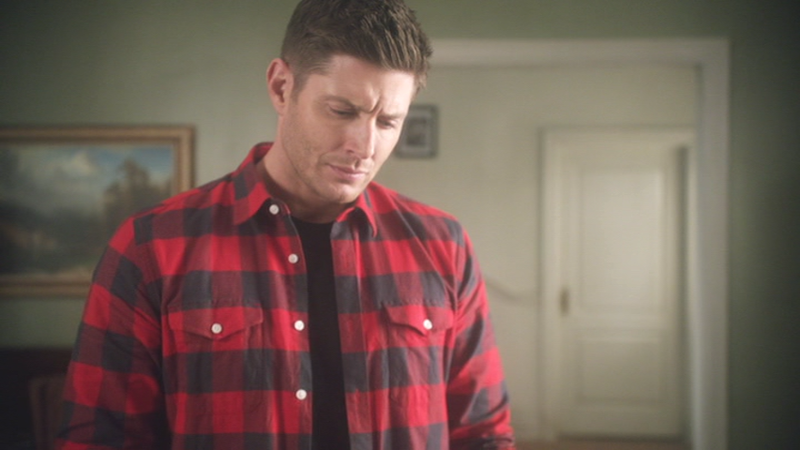 In Who We Are (12x22), Dean continues to wear this shirt for the entire episode. Around February or March 2019. It takes me a bit. Ah, I see. They've blocked out the name. Weird. I’m confused are you saying the brand is called top secret or that it’s top secret and you won’t tell? Trust me, I'm confused too. The guy telling me the brands has extremely broken English. I figure it's either right, and it will help people, or it's wrong and someone will tell me.